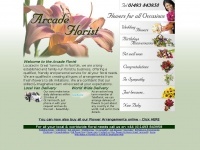 Arcade Florist delivers fresh flowers daily from Great Yarmouth. For all your wedding, valentine, motherday, new baby and funeral needs. 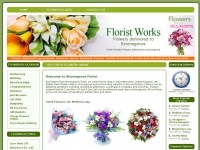 As members of Teleflorist we can arrange delivery world wide. Design by www.bluefusion.co.uk is specified as the websites creator. Bluefusion Creative Internet Solutions is the owner of the copyright for this website. 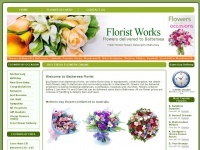 Batterseaflorist.co.uk - Bat­ter­sea Flo­rist - On­li­ne Bat­ter­sea Flo­wer Shop - ..
Nunheadflorist.co.uk - Nun­head Flo­rist - On­li­ne Nun­head Flo­wer Shop - Flo­wers ..
Bromsgroveflorist.co.uk - Bromsgro­ve Flo­rist - On­li­ne Bromsgro­ve Flo­wer Shop - ..
Bristolflorist.co.uk - Bristol Flo­rist - On­li­ne Bristol City Flo­wer Shop - ..
Alfretonflorist.co.uk - Alfre­ton Flo­rist - On­li­ne Alfre­ton Flo­wer Shop - ..